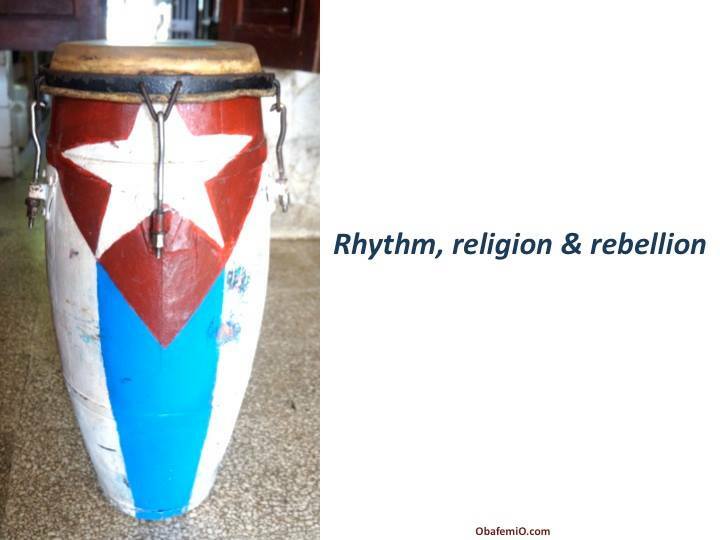 Lecture/Video/Demonstration about the music, the dances, the rituals and the cultural revolution taking place in Cuba and why it matters to African Americans today. Obafemi Origunwa, MA: In late December 2013, I was part of a four-member team that visited Cuba. Our mission was to participate in an informal, peer-to-peer research project. Our focus was to learn about the intersection of socialism and African spirituality from the Cuban people. The results were astonishing. Please join me to sing, make music and explore African culture & spirituality in revolutionary Cuba.